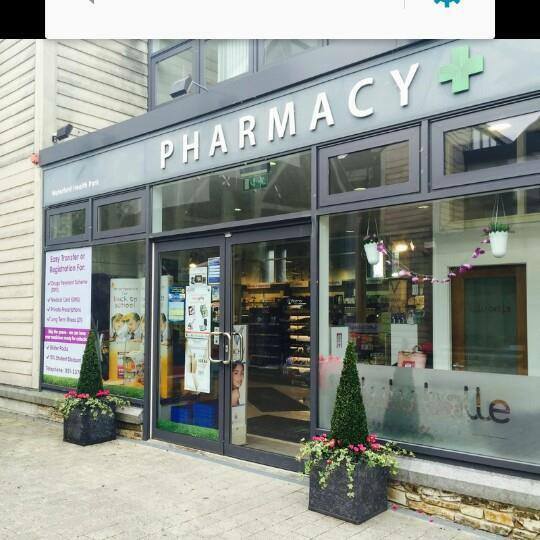 Waterford Health Park Pharmacy- A hotspot in Waterford City! This post is a focus piece I have written on the wonderful Waterford Health Park Pharmacy at ‘the top of the town’ in Waterford City. 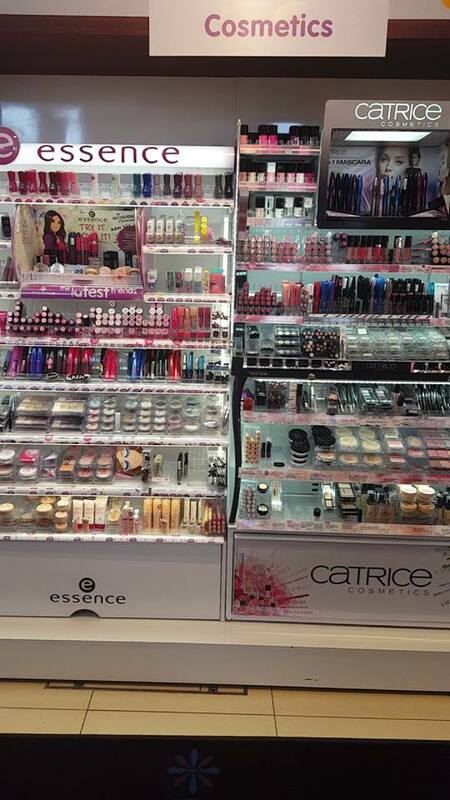 The pharmacy will be open 5 years this years and it is fast becoming a beauty haven in the city. 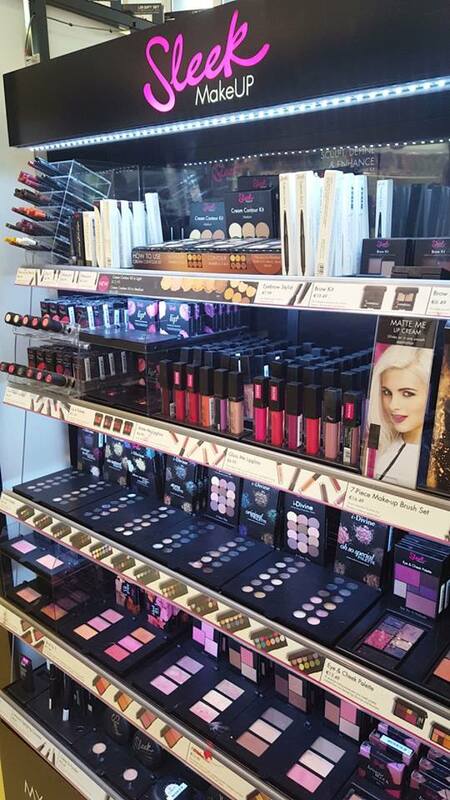 We are truly blessed in Waterford to have so many retailers upping their game in the beauty stakes to make sure us Deise women can get our hands on all the latest must have and on trend products. “Established in 2009, we are proud to be the first port of call for professional healthcare. The health needs of our customers and patients is our priority. We provide our customers with full prescription service under the Medical Card, Drug Payment, GP Visit Card. Long Term Illness and 'High Tech' Schemes. We stock an extensive range of medicines and supplements for common conditions and for your general health and well-being, as well as an extensive range of toiletries, skincare and babycare products. I met with manager Sandra last Saturday to discuss the piece and it was so easy for me to showcase the amazing brands they have in the pharmacy as I have so many myself so this post will be packed with links to reviews on products. So in case you don’t know…Waterford Health Park Pharmacy is located right opposite from Walsh Park (the GAA ground in the city) It’s address is Slievekeale Road, Waterford. There is loads of parking on the grounds as it also hosts the medical centre and small café. It is open from Monday to Friday 8:30-6pm and Saturdays 10-2pm. One other thing I must mention about Waterford Health Park Pharmacy before I go any further. 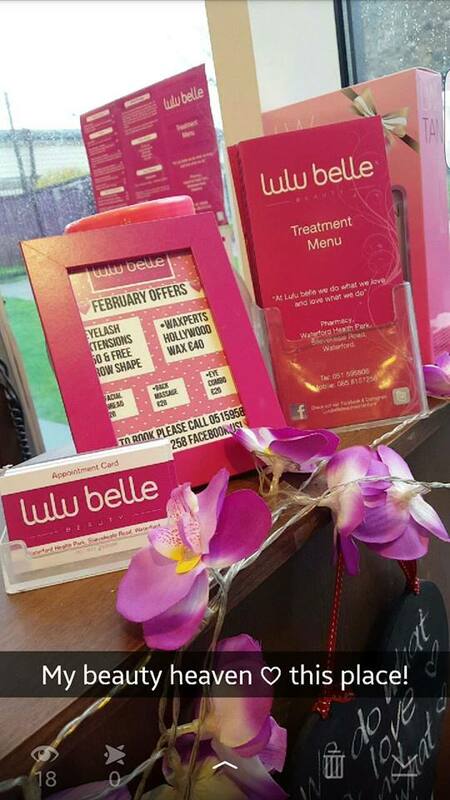 For me personally the most important thing this pharmacy hosts is the treatment rooms for LuluBelleBeauty. You’d have to be totally new to my blog if you don’t know of my love for this place. Louise and her excellent team have been looking after me for over 3 years now. I have had my HD brows perfected by Louise, I’ve had tan, makeup, nails, massages, loads of treatments in the salon. While it might be small with two treatment rooms it is epic in its service. I could literally write a whole post on LuluBelle and have before so if you have any beauty needs whatsoever ALWAYS book in with the LuluBelleGirls!! Trust me you are in the safest hands possible (God I love that place) The range of brands used is second to none, Dermalogica for skincare, Waxperts for Wax, they have both Bellmianta Tan and Laurens Way two of my current faves and then when it comes to nails a massive amount of colours from Gelish and all the makeup and brushes used are products I’d happily use myself. Honestly do check them out, I travel from Dublin specifically to get my treatments there! 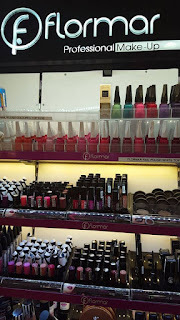 Back to the business that is the Pharmacy, as my first love with always be makeup I have decided to showcase some of the amazing Beauty products available right now in the pharmacy. These products are flying off the shelves and this piece is to highlight just how much you can get all in one pharmacy. As you can see there is so much makeup and skincare available in the pharmacy, it’s like a beauty bloggers heaven and only for my bank account is on serious lockdown with a Wedding at the end of this month and New York in August I could literally spend my wages with the amount of fab brands they have. Ok I get it that I’m blabbing but if you’re into makeup you’d agree there’s loads you want here. 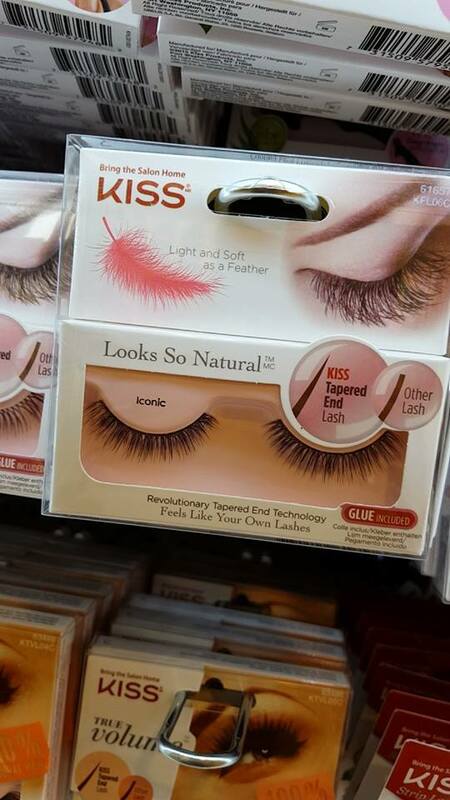 These lashes are everywhere!! 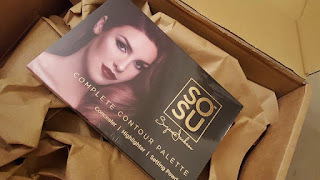 Their creator Aoife is an absolute mastermind, they are so out there, so on trend and a love of some many beauty bloggers I just had to try them. 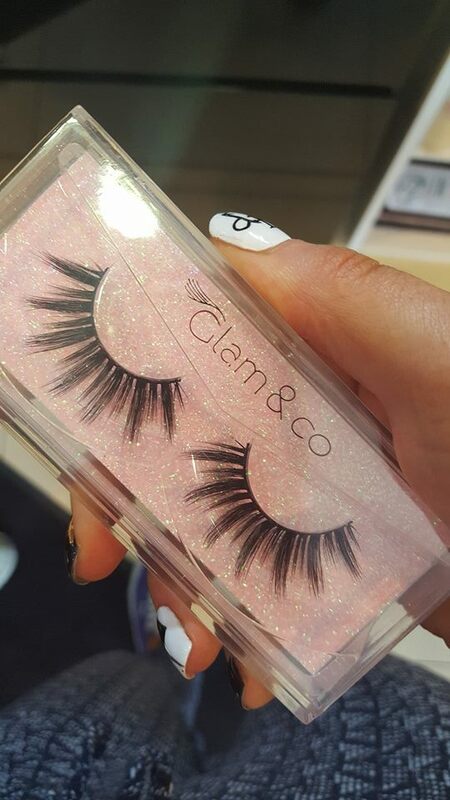 If you watch me on Snapchat @emmajcs you'll have seen I found a second pair of the lashes in my lash drawer once I returned from Waterford. The ones I picked up on Saturday are in the style Aurora and I can't wait to try them. They retail at €12 and with good care they can be worn up to 25 times. I mean that is some serious bang for your buck. 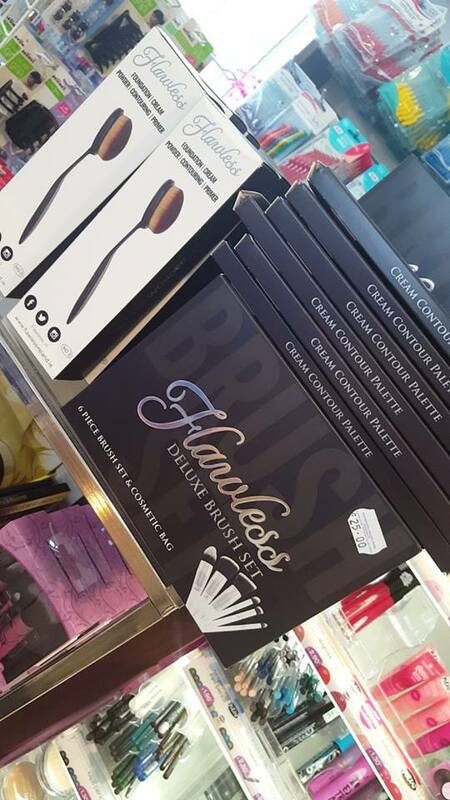 I am deffo going to try them out real soon so I will be sure to post on my instagram @masteringyourmakeup and all over my snapchat. I feel there'll be many selfies taken that day. 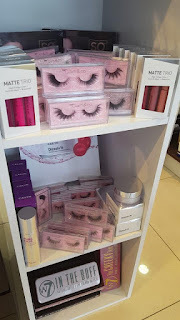 I am thrilled Waterford Health Park got these in as it can be very hard to choose lashes online, sometimes you just need to see them and seeing is believing with the style Aurora they are HUGE!!! 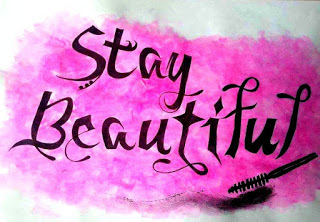 Anyone who has been following me on the blog will know I have a love for the AYU brushes. 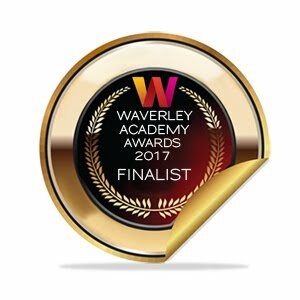 Suzie and her sister Laura are the creators of a wonderful makeup brush company which delivers great quality brushes at a low cost. They can be bought individually or in a set like this 'All About Eyes set' you can in WHPP. The liner brush is brilliant not just for liner but for brows also. I love the fluffy blender brush for buffing out colour it is so soft on the eye. The white pro blender is excellent for crease work which we all know is key to great eye makeup so if you are on the lookout for a new brush set then this one is for you. 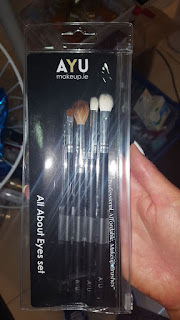 I always love to support Irish companies and I think this all about eyes set is a really good starter present to get someone who loves makeup. This has probably been one of the most talked about products of 2016. I managed to get mine online just as it was released and Sandra in WHPP was telling me it is constantly walking off the shelves. I can see why, it is a cream & powder contour palette. At the start I was unsure would it just be a gimmick but I can across a YouTube video but a makeup artist Laura Broderick showcasing her first impression (you could literally see her open it) and use it for the first time and it looked beautiful on her skin as it really was a live performance. I then went out and bought it myself. The cream highlight is deffo my fave part of the whole palette and I am yet to truly master the contouring but I am really glad to own it and coupled with a beauty blender from the likes of W7 (available in WHPP) or the real techniques sponge this will take you to glam in seconds. It's available right now in the pharmacy. Tomitago is a brand of skincare like nothing else I've tried. I recently reviewed two samples products which you can read about HERE. Sandra in the WHPP really wanted me to try the new cleanser from the brand. I had read about the cleanser before and thought it would make a really good addition to my pre cleanse routine. I am a really big precleanse fan. I like to remove as much of my makeup as possible before going in with my cleanser. Oil based cleansers are brilliant for this as they really help to break down your makeup. I have been using this cleanser since the weekend and I am really loving it so I want to give it it's own blog post when I have had more time to test in out on lots of makeup but it's an absolute treat for your face. It actually makes taking off a day's makeup a real treat, you wipe it away with a facecloth having let the warm cloth rest on your face, I mean you're only fit for bed after all the pampering. 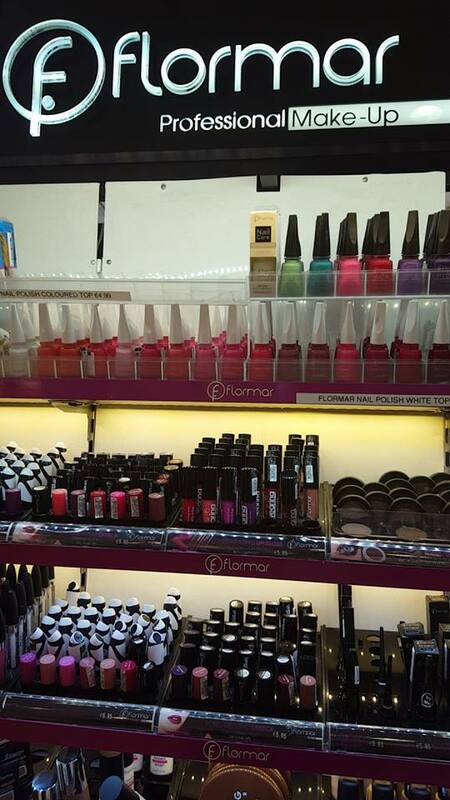 There is a beautiful display table full of the Tomitago products and some of the staff are trained in all the range so can really talk you through all you need to know to ensure you are getting the most out of the product. I really do love this brand and I hope it takes off all around Ireland. That was just a snapshot of some of the products available right now at the Waterford Health Park Pharmacy. 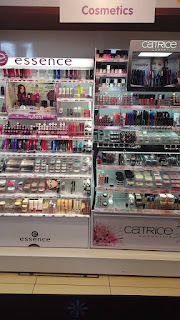 As you can see from the pictures above the main makeup stands available are Essence, Catrice, Flormar, Cailyn and then we have W7 products and Flawless. I could sit here all day and write about each individual product I own from the pharmacy but for me it’s a place you need to see to believe. The pharmacy prides itself on good customer service with many of the staff being trained in the brands they stock. This allows them to give you really sound advice so you know you are spending your money wisely. If you have any questions on products or the brands stocked in the pharmacy the staff are on hand to talk you through and help you make the right choice. 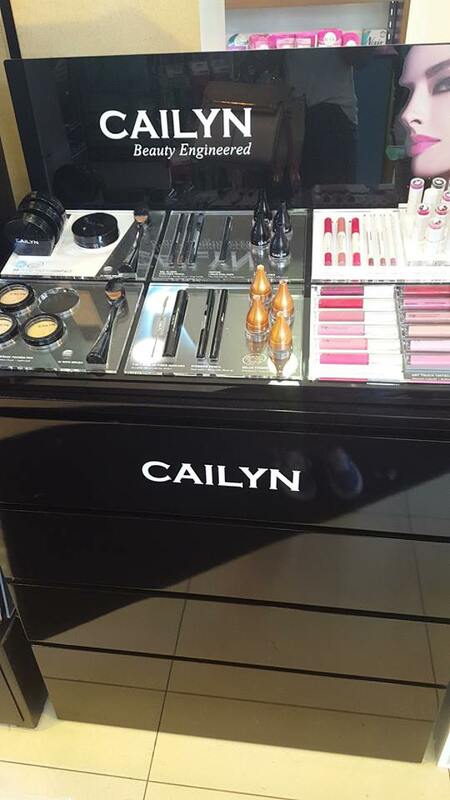 Some of the top pics from the stands I would choose outside of my latest additions are the KISS false lashes, the Sleek Matte Me lipsticks (of course birthday suit) I also love the Catrice Matte Foundation and also the W7 Banana powder. 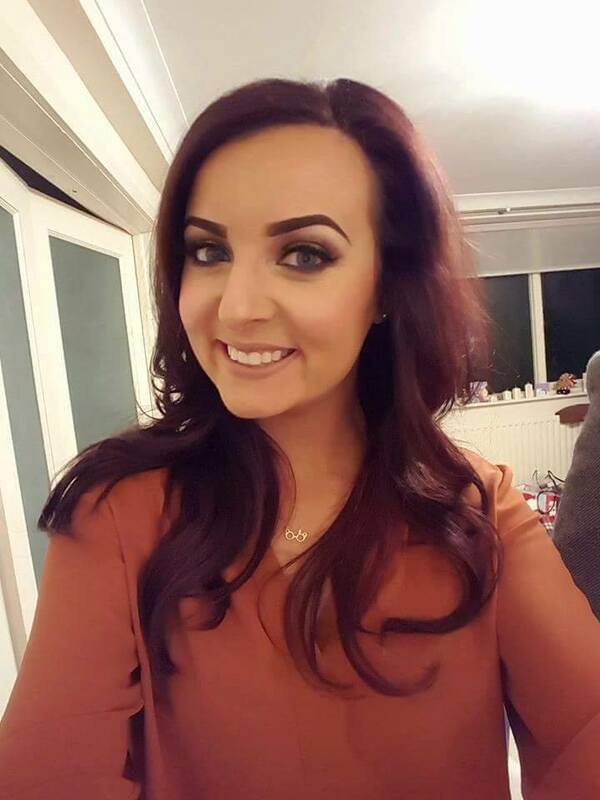 Coming soon is a blog post from the lovely Rachael from RachsBeautique, she’s my blogging soulmate in Waterford and we try to meet up every time I’m home to talk the latest trends and happenings in Waterford. She’s so on the ball with her blog posts that I’m really excited to see what she will be writing about from Waterford Health Park Pharmacy. As I live in Dublin I can’t always make it home on the weekends so Rachael is the eyes and ears for Waterford and I always have something to check out on her recommendation every time I’m home. If you’re not following Rachael yet you need to get on that ASAP! I hope you enjoyed this post I have on the pharmacy, as I say if you’re based in the city it’s really easy to get to, it has great value products and the staff are really friendly. Be sure to follow both the Waterford Health Park Pharmacy and LuluBelleBeauty on all their social media accounts. If the pharmacy gets in new stock the girls in LuluBelle will always have it on their snapchat account.